Matrix is an environment providing a blueprint for something else to develop. Did you ever answer the question, “Who are we: human beings having a spiritual experience – or spiritual beings having a human experience?” If you did, have you leaned towards the latter? Most of the Home Healers do – and for a good reason. There is a growing body of scientific research supporting theological dogma that the human body is, in its essence, a vessel – highly sophisticated and intelligent, but yet, still a vessel where Spirit resides (in all-enigmatic meaning of this word). What follows is that our core is purely “ethereal”, consisting of energy and informational fields, and it goes even further: energy and information are “morphogenetic”. 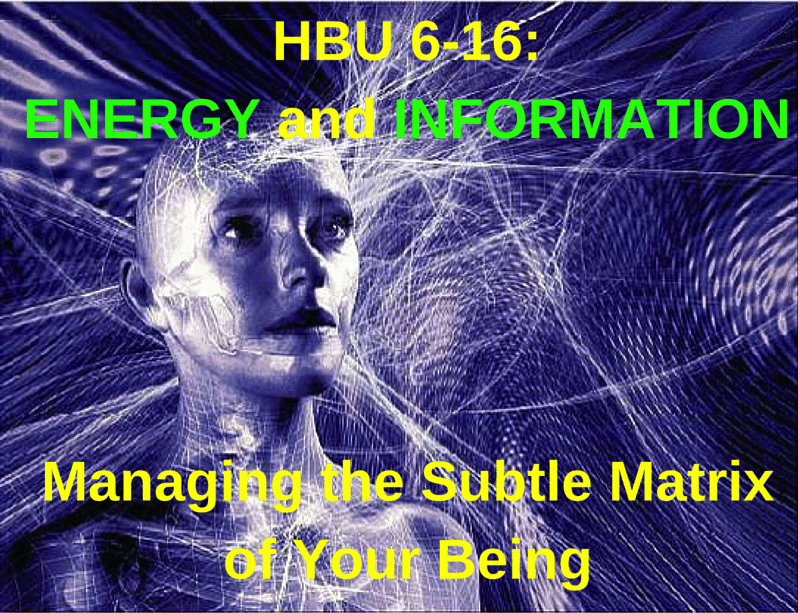 In other words, the way energy and information is organized in your being, your subtle Energo-Informational Matrix, determine a structure of your physical body. The age-old practices of TCM, Aurveda, and other traditional healing systems prove again and again that regulation of energy flow in the body majorly affects its physical state. You correct the energetic matrix – and the body heals. You also know how detrimental to your health negative thoughts and emotions can be – and what a dramatic change in the state of health a simple attitude adjustment can bring. As they say, changing “I” to “we” transforms “illness” to “wellness”. And so does “seeing your glass as half-full versus half-empty” and changing your negative FAGs (Fear, Anger, Guilt) to positive FAGs (Forgiveness, Acceptance, Gratitude). You correct your informational matrix – and the body heals. Energo-informational matrix is multi-levelled. There is a bioenergy system of channels, meridians, chakras etc. that organizes the energy flow in your body – and the energy of your will and intent. There is an informational blueprint of your physical body encoded into your DNA – and the whole different level of informational matrix of your thoughts, believes, and attitudes. The truth is, no one actually knows how exactly this complex matrix is organized (many people, including health professionals, even ignore its very existence). Hence, we do not really know how to manage it: how to detect where it is corrupted, determine the ways of correction of imperfections, and implement those corrections. We are trying though. There are many health practices, conventional and alternative, that specifically address the energo-informational matrix in one way or another, one or another part of it, intentionally or accidentally. The Healing FUSION technologies represent the next big step in handling the energy flow and programming of the physical body, and they are very effective in what they do – and yet, when the programming “above” (at the higher levels) is corrupted, even our wonderful devices cannot do much. So what can we do? We do not have all the answers, but we believe we have some. And we want to share what we know with you. That’s what our live event this year is all about: How to Manage the Subtle Matrix of Your Being. We will offer you our concept of the Energo-Informational Matrix and its inner workings, our understanding of its “weakest links” and causes of corruption – along with the most efficient ways we found (so far) to restore its harmony and smooth functioning, which, in turn, will be reflected in the better functioning of your physical body (and possibly, even in regenerating its damaged structures). In the beginning, we did not have a specific goal of studying the Energo-Informational Matrix or develop its concept. We just wanted to understand why our mostly very effective energy healing devices are not so effective in some situations – and that led us to the uncharted waters of energy and informational fields and their relation to our being. And now we want to share with you what we learned and understood so far (the journey still continues), because we think that knowledge may give you the answers YOU are seeking. We also wanted to offer you some practical skills to manage your subtle matrix – with the Healing FUSION devices and without them. For example, do you believe that your mind can heal you – and your mind can kill you? When our event is over, not only you will understand why it is so; you will learn how to identify those conscious and subconscious patterns that sabotage your health and happiness – and discover the ways of getting your mind to cooperate in healing (Dr. Cassandra Campbell will make sure of that). Dr. Nipa Das will review with you the common (and not so common) practices that regulate the energetics of the body and teach you the simplest and the most efficient ways of getting your energy flow nicely going – even without any tools. And then there are the energy healing technologies, of course. By definition, they work through the Energo-Informational Matrix, but there are some ways of using the energy healing devices to specifically and purposefully influence the Matrix on different levels – and we are going to learn these ways, protocols, and techniques. Are you ready to discover the secrets of your Energo-Informational Matrix and find out what subtle forces and mechanisms govern your physical body? Do you want to learn to manage them? 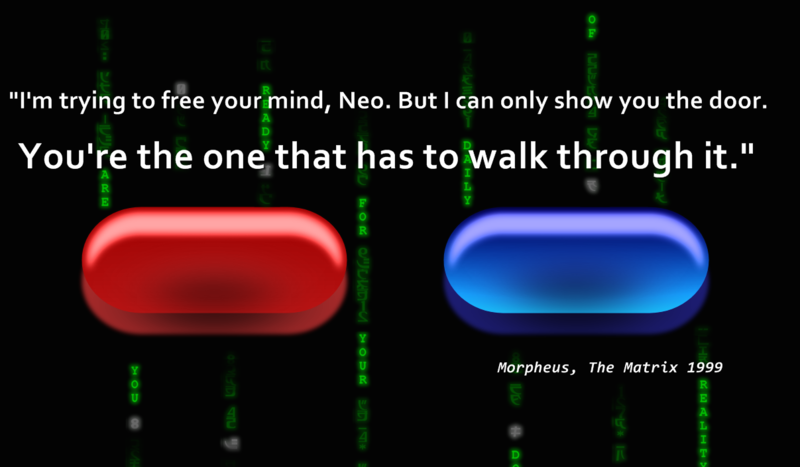 The “red pill” or the “blue pill”? If your choice is red, please join us in Berkley, CA, on June 11-12, 2016 for the HealthBoss University LIVE 6-16. We will learn together how to manage The Matrix. Our event is designed as an interactive workshop. Expect a lot of hands-on practice. In order to keep this format though and achieve enough interaction in a group, we are restricting attendance to only 30 participants. Only 30. That’s it. First come first served. Dr. Irina Kossovskaia is a Russian-American scientist, psychologist, and entrepreneurial holistic MD with experience in management, marketing, and public relations. A former Russian Space Research Program collaborator and an eye surgeon, she is a renowned International expert on energy healing, regeneration, and age reversal. Dr. Irina specializes in health education and cutting-edge portable energy healing devices (PHA = Personal Health Assistants) that promote fast healing and regeneration in the human body. Dr. Irina was a pioneer in bringing the SCENAR technology to the West in 1997. To this day Dr. Irina continues to work with the originators of SCENAR in Russia, facilitating development of this revolutionary energy healing modality. She focuses her attention on promoting COSMODIC® as the next generation SCENAR and on integration of SCENAR with other complimentary healing technologies, such as the Low Level LASER and the SOLARIS Blanket. This mutually-enhancing combination of energy healing modalities suitable for self-care we now call “the Healing FUSION”. Dr. Irina is also a researcher, a writer, and an experienced public speaker. She shares her vast knowledge and experience during her frequent speaking engagements at energy medicine conferences and congresses all over the world. Dr. Irina’s company HealthBoss and its educational division – the HealthBoss University support the development of a parallel healthcare system based on self-care, which gives every person a chance to become a Home Healer and his/her own Health Boss. She is convinced that with the right knowledge and tools we all can get back the power to heal and regenerate – as we were designed to do. Dr. Irina uses her knowledge, experience, and passion to encourage Health Independence and support her growing community of Home Healers. Michael Beasley is the “oldest” HealthBoss University Practical Professor, who taught at pretty much every live event we had over the past six years. He was one of the pioneers of SCENAR technology in North America working on the first pilot study for SCENAR in the United States. Mike also owns one of the largest “collections” of the Healing FUSION devices and knows intimately virtually every model of SCENAR and COSMODIC that has been released on the market since the famous SCENAR 97.4. Even though Mike Beasley comes from engineering background, his main interests and passion lie in the healing arts – in particular, in the high-tech healing modalities addressing energy and informational matrix. He developed new protocols for the LENS (Low Energy Neurofeedback System), NeuroField, and Low Level LASER. Mike is also one of the chapter authors in the book “The Neurofeedback Solution” complied by principle author Stephen Larsen, Ph.D. He also teaches the LENS technology all over North America. Mike’s sharp analytical mind, his passion for energy healing, and his big heart willing to freely share his vast knowledge and wisdom make him one of the best Practical Professors you can wish for. Dr. Cassandra Campbell, Energy Psychologist and Intuitive, is passionate about educating and training avenues of including the whole person for healing the past to be present in the Now, which allows greater possibilities for the future. Dr. Cassandra holds a Doctorate Degree in Psychology and Spirituality from Walden University. She is also a certified minister. Her unique energetic personal transformation program Transformational Thought Technology has helped many people over the years to achieve self-growth, empowerment, and change. Transformational Thought Technology is a unique tool that has the ability to transmute and transcend limiting beliefs, fears, and insecurities in daily life very rapidly and, apparently, permanently. It utilizes the electromagnetic field of the body and soul to create openings people need to improve their lives NOW! Dr. Campbell is very skilled at identifying the questions that will lead to the greatest release of the old patterns. She has learned to intuitively follow the promptings of the body, mind, soul for the fastest and most effective results. Dr. Cassandra has used the Transformational Thought Technology with hundreds of people since 1997. P.S. Dr. Cassandra will be available for private sessions during our event – and the following day (Monday, June 13th). Please, let us know if you are interested – the capacity is extremely limited. Nipa Das is an experienced and internationally recognized energy healer specializing in a wide range of healing modalities, teacher, speaker, and great advocate of complementary and alternative medicine. Nipa comes from a science background. After graduating with a Joint Honours Degree in Mathematics and Physics from King’s College, University of London, Nipa pursued a career in Operational Research followed by an international career in teaching (UK, India, Belgium). Nipa Das developed an interest in alternative therapies in the early ‘90s. Her skills and qualifications include Yoga, Reiki/Seichem (Recognised Master/Teacher, GPP), Health Kinesiology (KFRP), Emotional Freedom Technique, and SCENAR. In September 2010 she successfully completed a Doctoral Degree from International Quantum University for Integrative Medicine (IQUIM) in Hawaii under the tutelage of Dr. Paul Droin. Currently she is enrolled in a Ph.D. program. Some of her specialist areas include QXCI-SCIO, SCENAR-COSMODIC and Low Level LASER. Use of COSMODIC, SCIO, Quantum Life and Cold Lasers along with Kinesiology-Muscle Technique are the focus of her work. These include distance healing techniques. 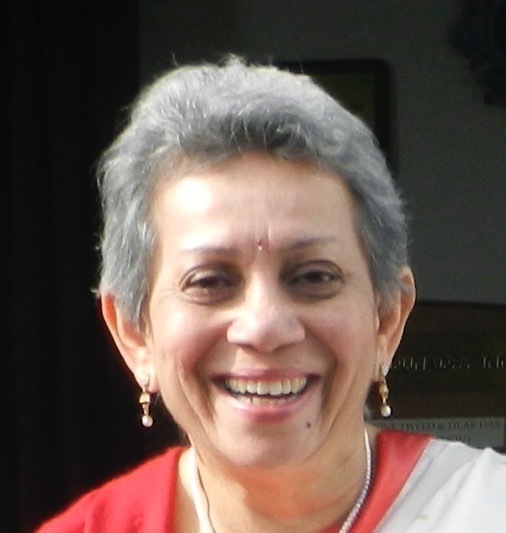 Currently, Nipa Das divides her time between Delhi (India) and Surrey (England) running her clinic in Alternative Therapies, teaching and conducting Stress Management Workshops. 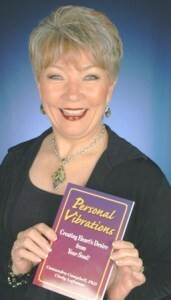 She also speaks on the subject of Energy Medicine at the conferences worldwide and participates in their organization. In 2016, she was Chairperson for the first ever Quantum Energy Medicine Conference in Bengaluru, India. If we accept that the human being is much more than the sum of moving replaceable parts (as biomedicine tends to teach us), where do we go from there? The latest discoveries in quantum physics and energy medicine actually bridge science with religion and reveal the underlying subtle matrix of our physical reality comprising from imperceptible by our five senses energy and informational fields. This Subtle Matrix determines also the structure of our physical body and, therefore, is directly responsible for our health and well-being – and yet, we do not know much about it. How is it organized, how it relates to our physical body, and, more importantly, how can we regulate it? These are the questions we will try to answer. All traditional healing systems (such as Traditional Chinese Medicine, Ayurveda, Indigenous Medicine etc.) acknowledge existence of the well-structured Energy System of the body and offer ways of its assessment and correction – and yet, the descriptions differ. TCM talks about channels and meridians of life energy (Qi) flow; Ayurveda describes chakras and nadi where the vital energy (prana) circulates. Hence, the age-old ways of correction of energy imbalances differ as well – and yet, all have been proven to work. Can we find commonalities? Can we come up with the unified Energy System theory? And if so, how do we explain the effects of various energy healing modalities? Are there any particularly effective and simple energy healing techniques that we can and should use in our daily life? Dr. Nipa is going to share with you her view on the subject and over the course of two days teach you her favorite healing techniques (I bet, most of them will be new to you). PRACTICE: Warm up with Tension Release exercise. PRACTICE: Three-step Rhythmic Breathing (3-SRB) with music. Out of all vital functions of the body, Breathing is unique in that it is the only function we can control and make rhythmic – even for all twenty four hours. If breathing is controlled and is rhythmic, the circulation of blood, too, becomes rhythmic, the pulse rate dropping from 72 or more to 60 or less per minute. Moreover, thinking will become rhythmic as well creating a healthy thought pattern that leaves less room for disturbances caused by various stressors. 3-SRB integrates Tension Release warm up methods, 6 Refining Exercises, and Relaxation with Three-Step Rhythmic Breathing with Music. We shall focus on 6 Warming Up exercises followed by Three-Step Rhythmic Breathing with Music. The topic title says it all. Even though we may be not aware of it, our subconscious mind for the most part is “running the show” of our life subtly shaping up our attitudes and dictating our behavioral patterns. Sadly, our subconscious mind is often filled with limiting and often destructive beliefs that sabotage not only our behavior, but also our health and healing. Yet, how do you know what these beliefs are, if they are hidden from your conscious mind? And more importantly, how do you get rid of them – and how can you make your mind your companion in healing? That’s what Dr. Cassandra is going to teach you. Introduction to the Mind and How to make it Your Companion. Perceptions of the Heart and the Mind that influence the Body. Building a Strong Fruitful Relationship with Your Mind. How to Recognize Subconscious Beliefs. Languaging and Mannerisms of Problems. How the Mind can Support the Body for Health. The Perceptions and Interpretations of the Mind Change Genetics. Upgrade and Release Old Belief Systems to Enhance Healing. Tools for Maintaining a Harmonious Relationship with the Mind. Using Declarations with Your Device During Treatment. Teaching Your Clients to Use Declarations After Treatment. 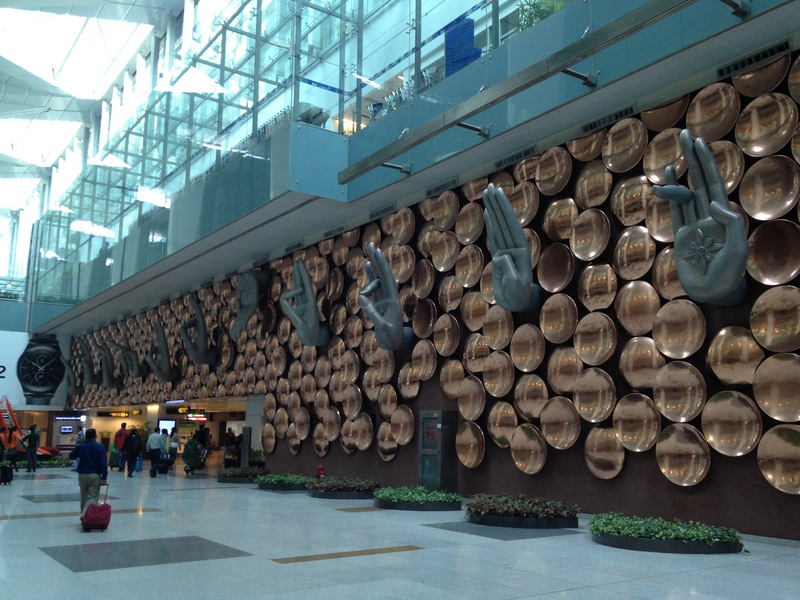 Mudras are positions of the body that have influence on its energies, or your mood. Mudra helps in balancing the body and harmonizing the 5 elements: The Space, The Wind, The Fire, The Water, and the Earth. Mostly the hands and fingers are held in some position, but the whole body may be a part of a mudra as well. 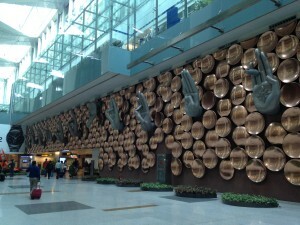 The most well-known mudras are probably the ones performed while meditating. Brain Gym® Educational Kinesiology is a series of exercises known to improve learning and recall of information. The 26 Brain Gym activities are designed to integrate body and mind in order to improve concentration, memory, reading, writing, organizing, listening, physical coordination, and more. These activities recall the movements naturally done during the first years of life, when we learn to coordinate the eyes, ears, hands, and the whole body. In other words, learning begins with the internalization of physical skills – and can be improved when a better integration of the mind and the body (physical and mental) is achieved, when the body is in harmony with its Subtle Matrix. Laughing Meditation (or Laughter Meditation). The simplest form of meditation. All you have to do is to just start laughing. Yet, it is not as easy as it seems considering our very conditioned mind. Mark Twain once said, “Against the assault of laughter, nothing can stand.” And studies have now shown that laughter lowers stress, boosts the immune system, and can lower cholesterol and blood pressure. It may even aid digestion. Pretty similar benefits to what you would expect from doing regular meditation, which is one of the best ways to tune-up your Subtle Matrix. The Healing FUSION technologies (SCENAR/COSMODIC, Low Level LASER, SOLARIS Blanket) are energy medicine modalities and, as such, work primarily on the Subtle Matrix of the body. And yet, how exactly do they affect the body’s energy system and programming? Taking care of major organs with Healing Sounds. Taking care of major organs with Tapping. Feedback, constant checking and balancing is the very essence of organization of any living system, which allows it to ADAPT to its ever-changing environment (just think “mirror”). SCENAR, COSMODIC, and SOLARIS Blanket show us just how powerful feedback-based healing technologies can be. SCENAR, COSMODIC, and SOLARIS, however, work mostly on the part of the Energo-Informational Matrix that relates to the physical body. It is the domain of SOMA, which is not directly controlled by our mind, conscious or even subconscious. When we want to use feedback to balance the mind, we use different modalities, such as psychotherapy or Transformational Thought Technology. Yet, there is one somatic organ that has a direct connection to our mind – the Brain. Hence, applying the feedback-based therapies directly to the brain should provide a major impact on our mental functions – and it does. Such modalities are known as Neurofeedback technologies – the subject of this talk. You will see first-hand and can even experience the LENS, Low Energy Neurofeedback System. LENS feeds back information to the brain by using a faint frequency signal based on the person’s EEG. The LENS prompts an updating or examination of brain operation. An analogy might be similar to rebooting your computer for a fresh start or defragmenting your hard drive (brain) for optimal system performance. We hope you like what we have planned for you. Then clear your calendars for June 11-12, 2016 and CLICK ON THE BUTTON BELOW to register for this unique workshop. Alternatively, register by contacting us at 1-905-468-0033 or toll-free 1-855-468-0033 or email support@healthboss.org. Our live event this year is going to be near San Francisco, CA, USA. 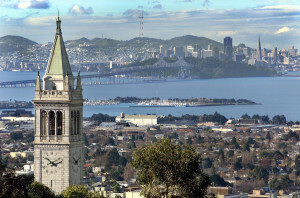 To be more exact, in Berkeley – a vibrant and spirited city offering a rich cultural experience with performing arts, museums, shopping, and fine dining, such as the ‘Gourmet Ghetto,’ known for its innovative restaurants. Our host hotel is a beautiful DoubleTree by Hilton Berkeley Marina Hotel. 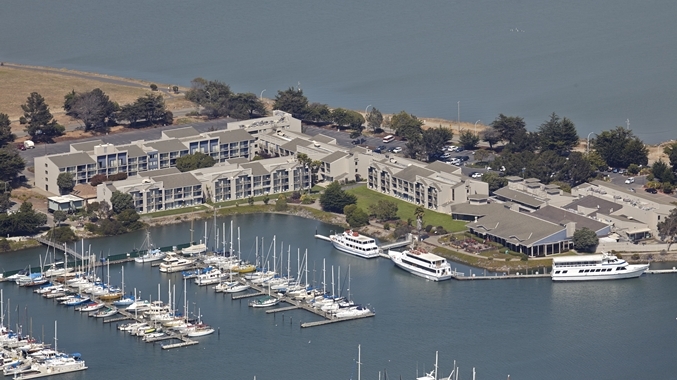 As the name says, the hotel is situated on Berkeley Marina, providing easy acces to beaches and breathtaking views of the Bay Area, San Francisco skyline and Golden Gate Bridge. Walk along the marina or visit popular destinations, such as the culturally and historically renowned University of California Berkeley campus and its attractions, including the Berkeley Botanic Gardens and Lawrence Berkeley National Labs. Complimentary shuttle will take you anywhere within 3 miles of the hotel and the BART station. The hotel is easy to get to from the San Francisco International Airport and even easier – from the Oakland Airport. We will have a comfortable conference room on the ground floor with an easy access to the outside gardens and marina. Yes, of course, we will film the event and make DVDs out of it (as we usually do), and you can watch them at your leisure… Yet, what can replace an actual HANDS-ON experience and learning from the best alongside the like-minded energy healers from all walks of life? Join us at the HBU LIVE 6-16! CALL OUR OFFICE with ANY questions or to REGISTER for HBU LIVE 6-16 at 905-468-0033 or toll-free 1-855-468-0033 or email support@healthboss.org. 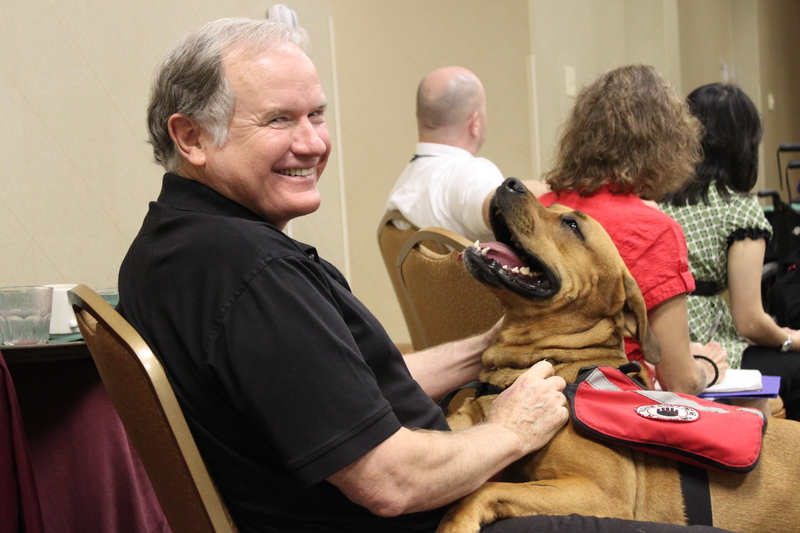 We are so looking forward to see you in Berkeley, CA on June 11-12, 2016!